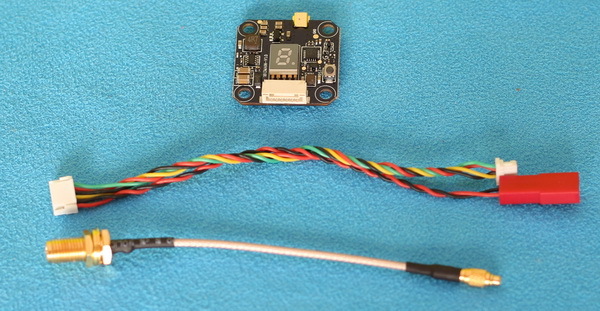 When it comes to FPV flights, besides the quality of the camera and goggles, the performance of the video transmitter (VTX) is also very important. Lately, VTXs evolved a lot. 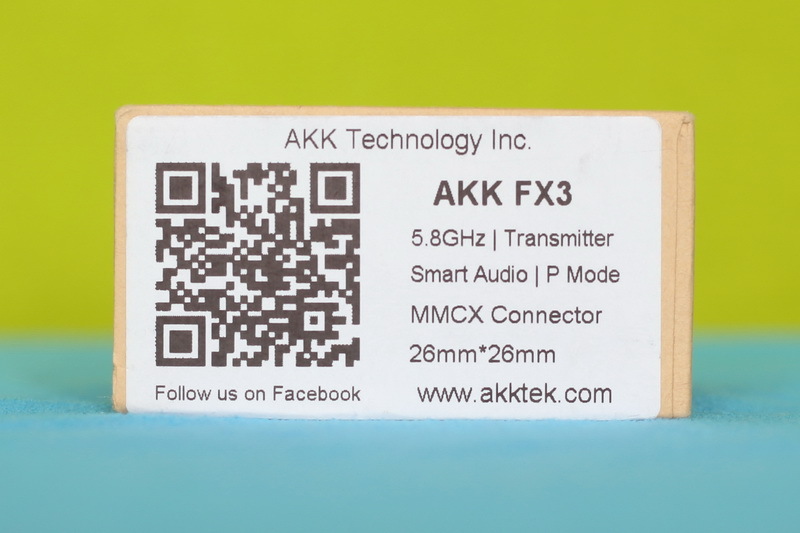 AKK FX3 comes with advanced features like SmartAudio and adjustable broadcast power. 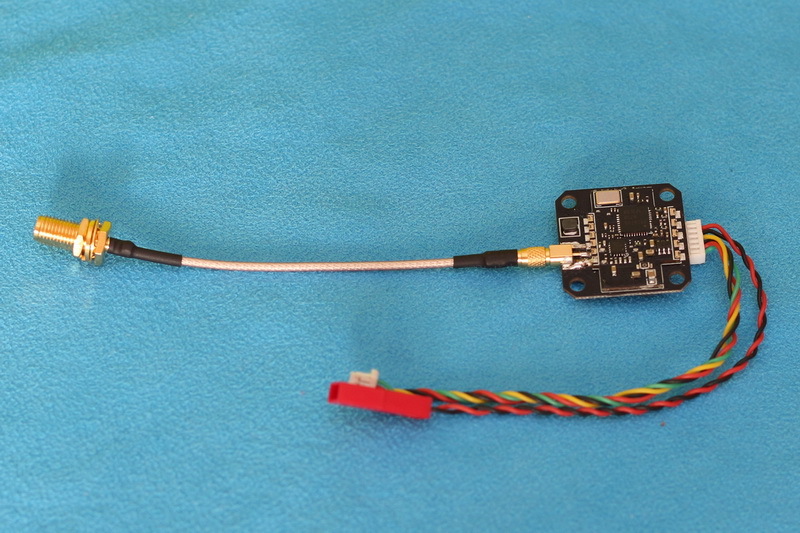 For those who are new in the field, a video transmitter (VTX) it’s a crucial part of a FPV drone. 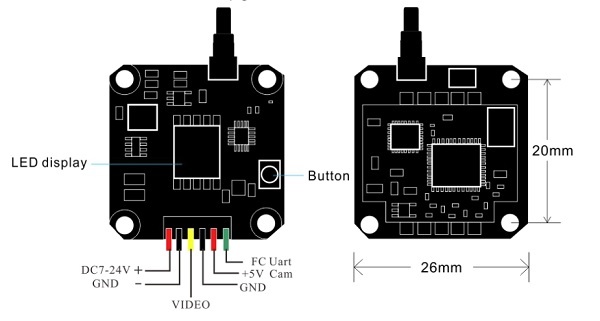 It transmits the video signal from FPV camera to a remote video receiver, which can then display it on a FPV monitor. 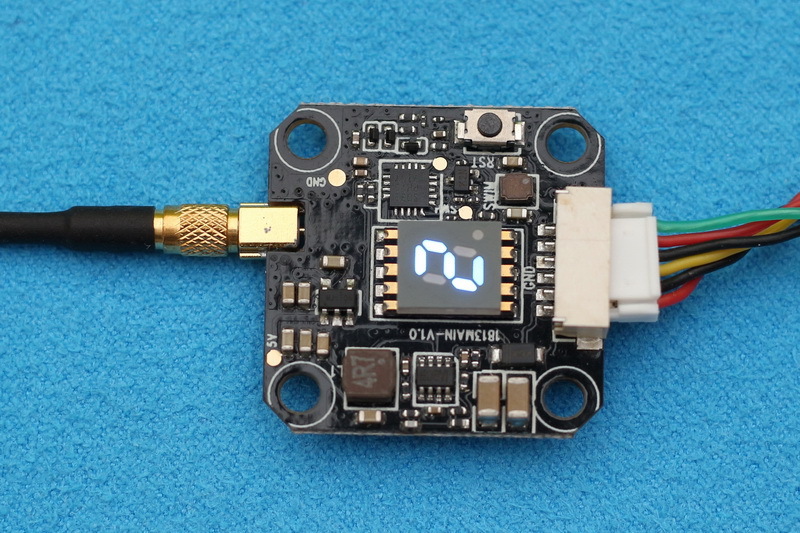 The most common frequency for FPV is 5.8Ghz. 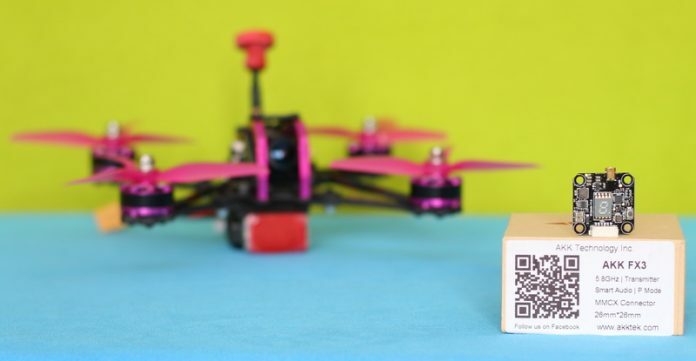 In order to allow the usage of multiple VTXs in a limited space (such as during a drone race) the frequency range is divided into individual channels. 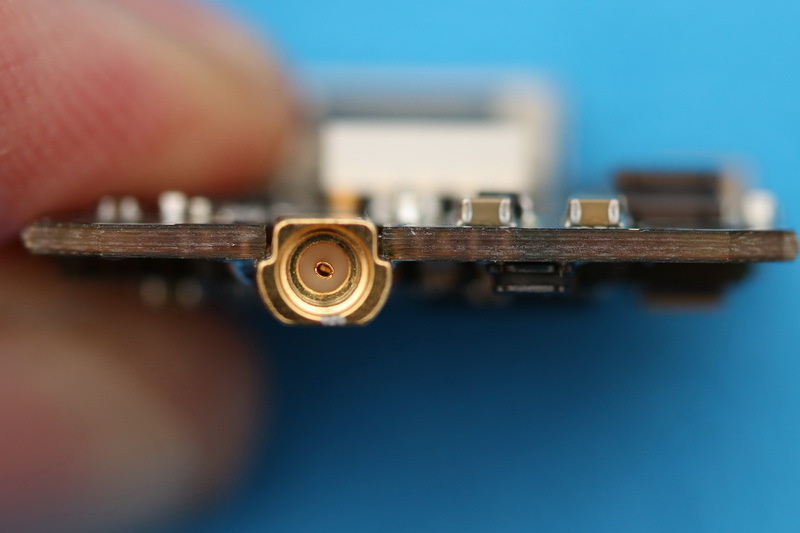 Most of the 5.8G video transmitters feature at least 40 channels. 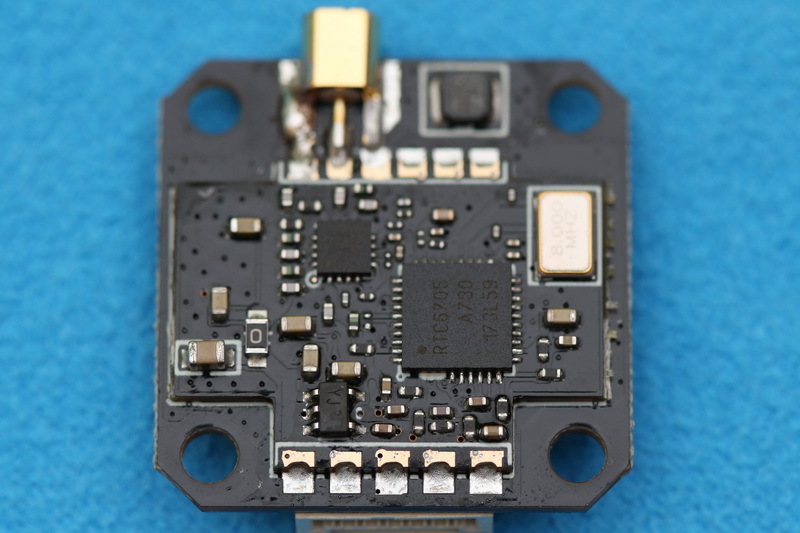 According to the transmission power you can find VTX modules from 10mW up to 5W. 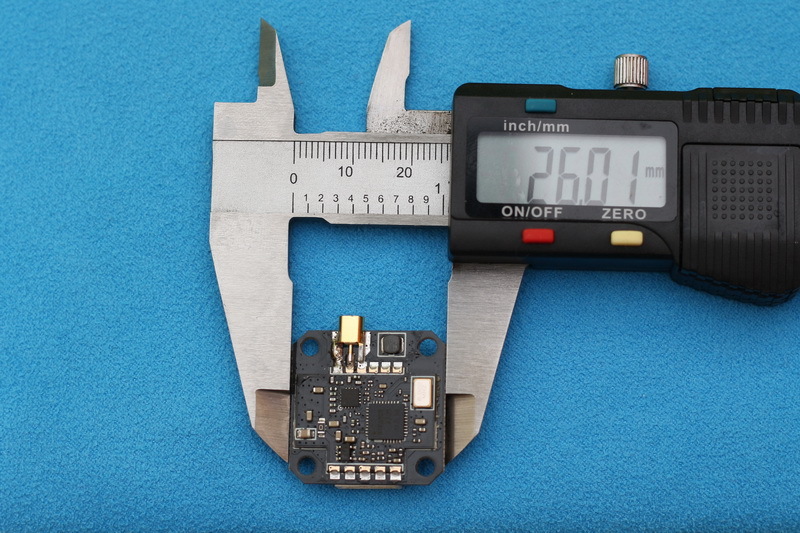 While proximity FPV park flying requires less power (25mw is just good for most cases) long range FPV flights (1 – 10Km) requires high TX power. 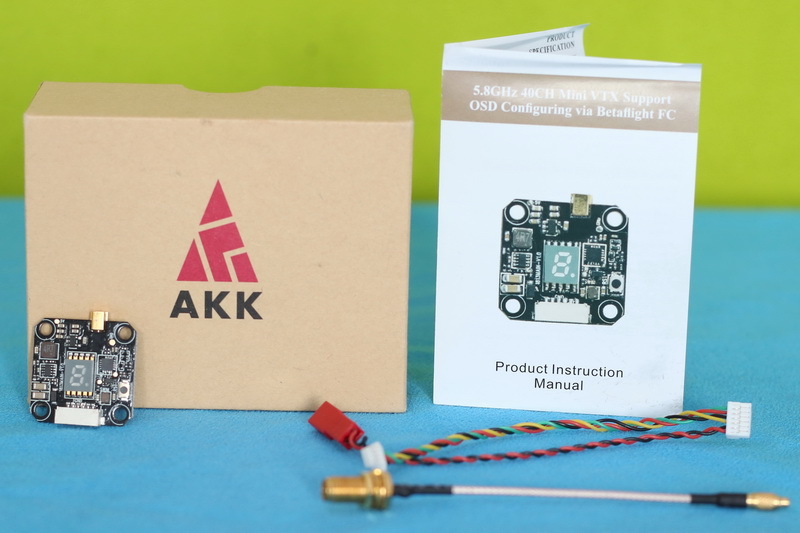 Output power can be fixed or switchable between multiple values like in the case of AKK FX3. 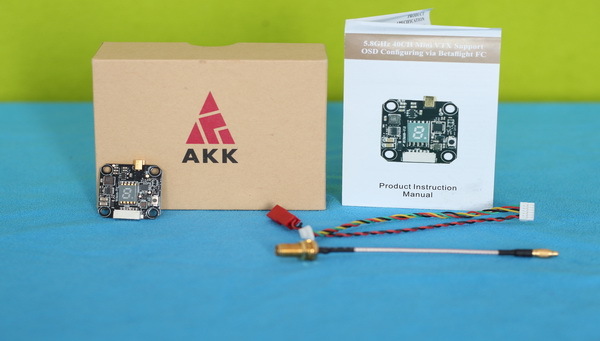 Disclosure: I received this AKK FX3 5.8 ghz video transmitter as part of a product review collaboration with AKK. 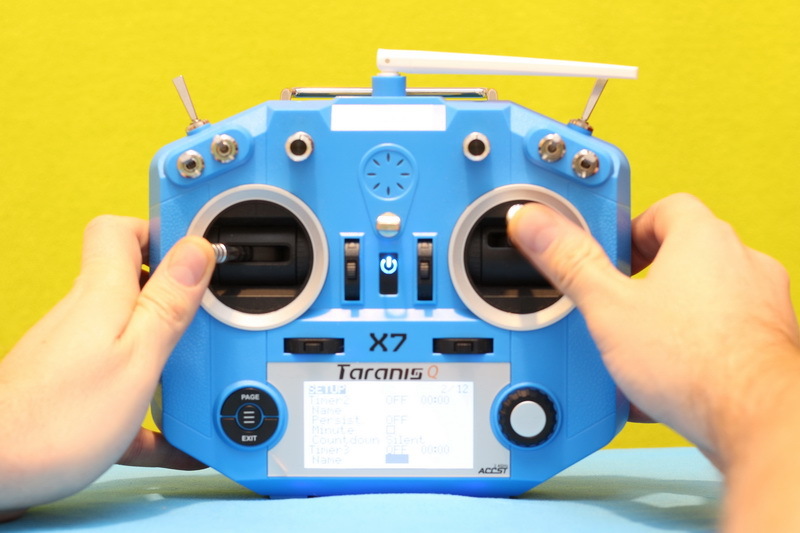 Although the VTX was offered free of charge, all opinions in this review are my own. Package arrived 4 weeks after we agreed on the review. 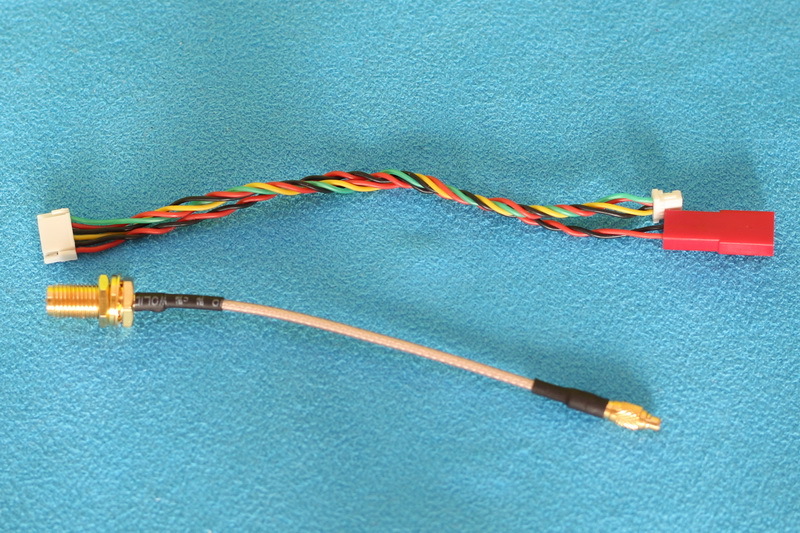 Inside the box, besides the VTX module, I found a MMCX antenna pigtail, a servo cable and user manual. 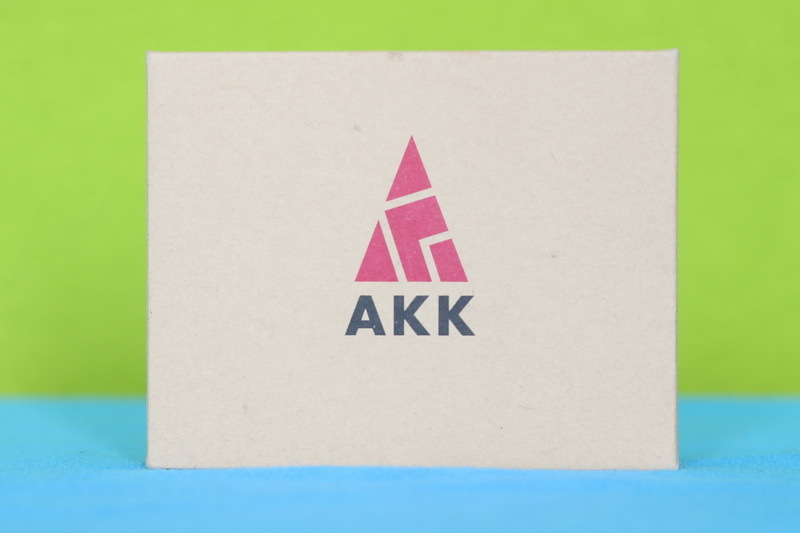 Note: there is no antenna included. 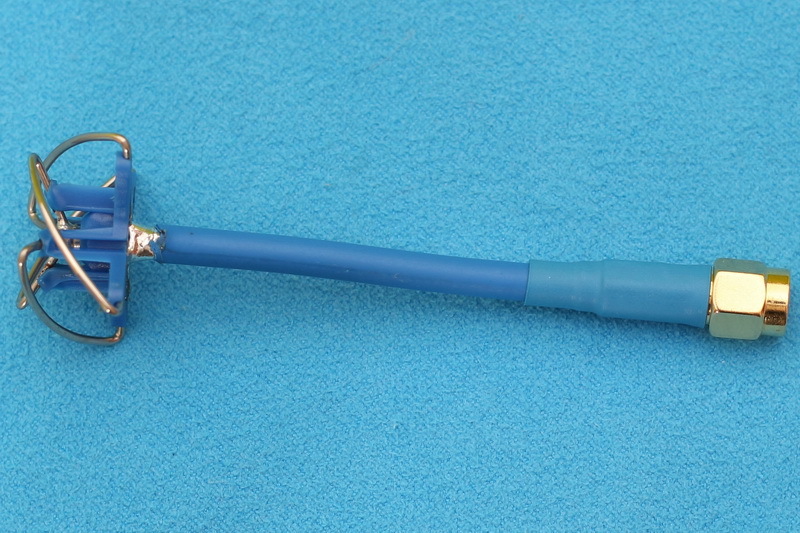 Up to 2km range with RHCP circular omni-directional antenna. 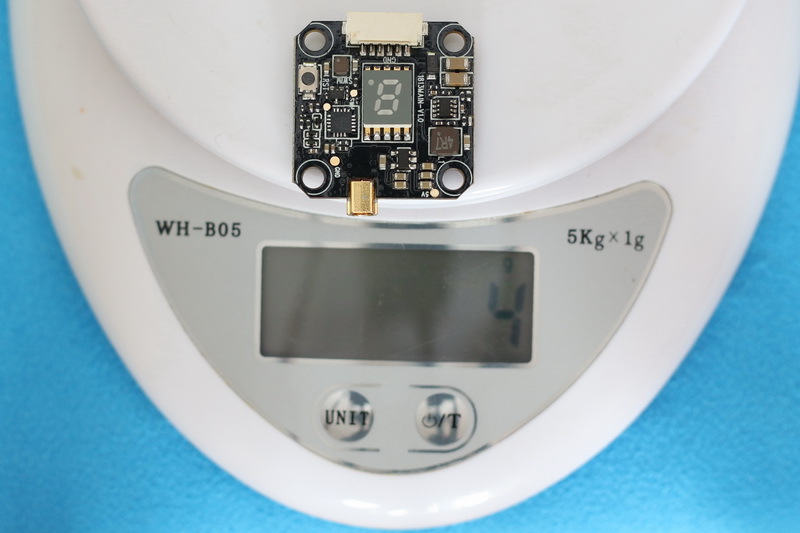 FX3 measures 26 x 26 mm and weights about 4.6 grams. 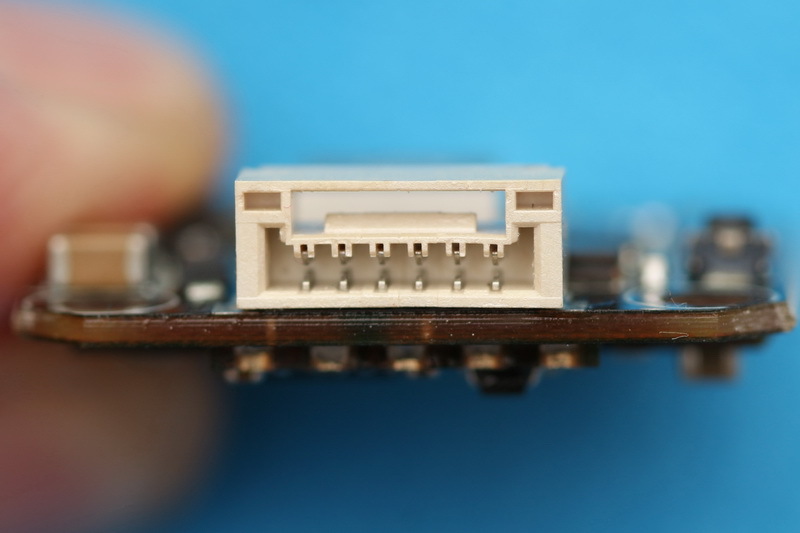 It can be stackable with other boards (20 by 20 mm screw distance). 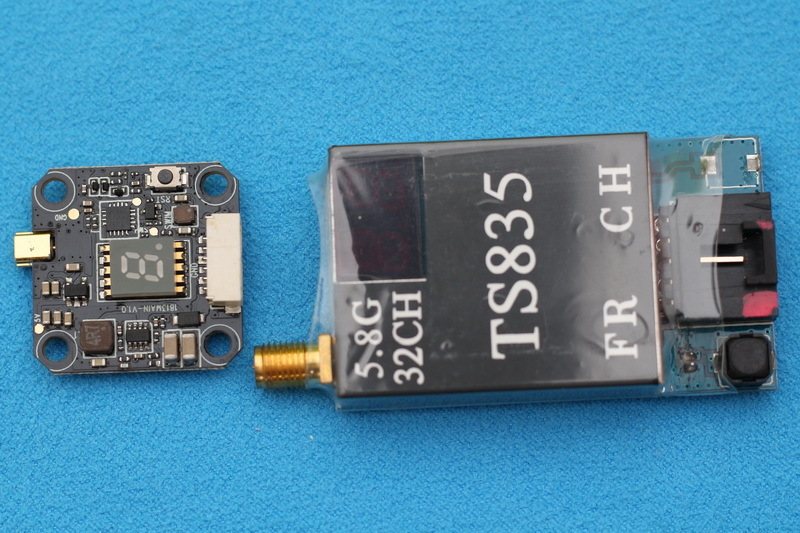 By comparison, it is much smaller than the Eachine TS835 600 mW. 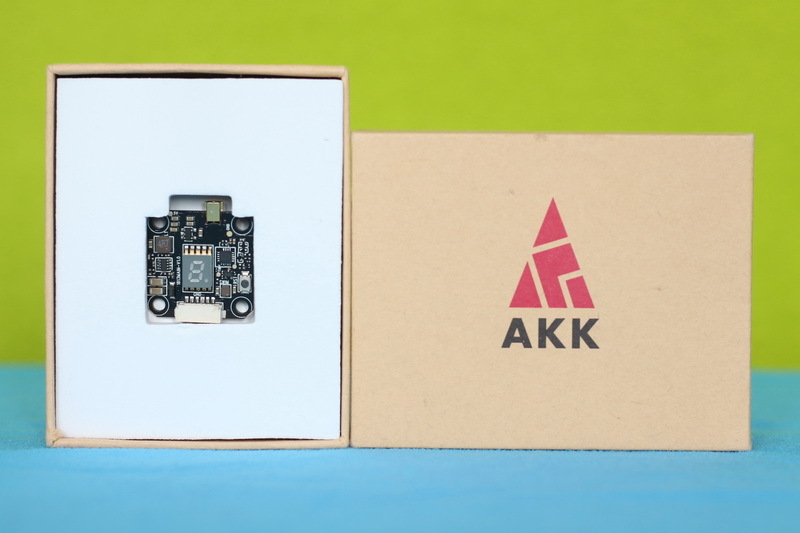 Unlike the AKK X2, the FX3 has no shield on the RF board, which might occur possible interference issue. 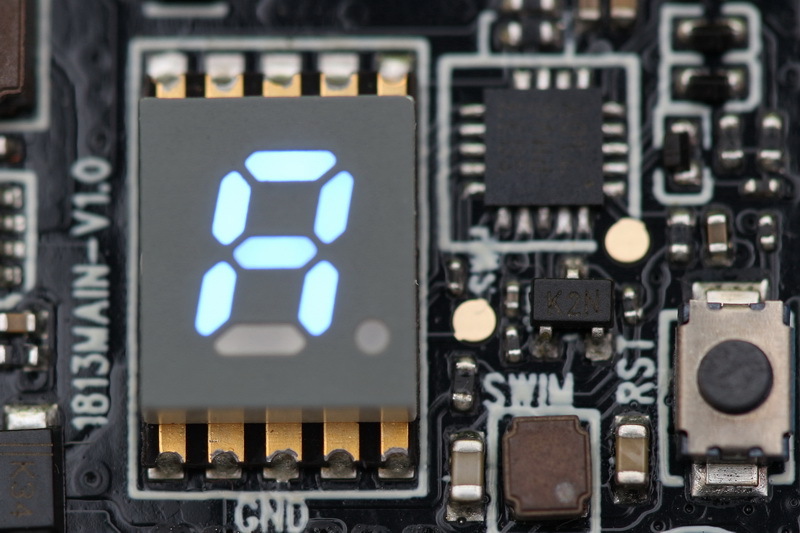 On front of the board are located the seven-segment status display, control button and camera&power connector. 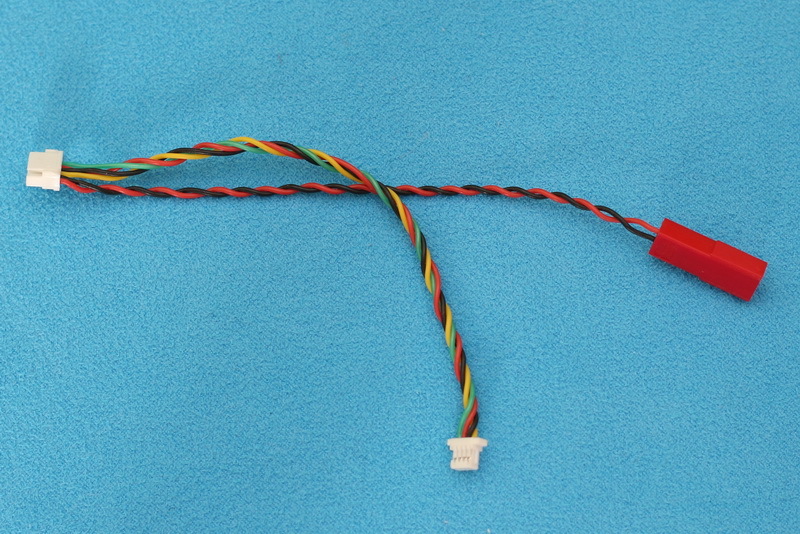 Green – FC UART (SmartAudio). 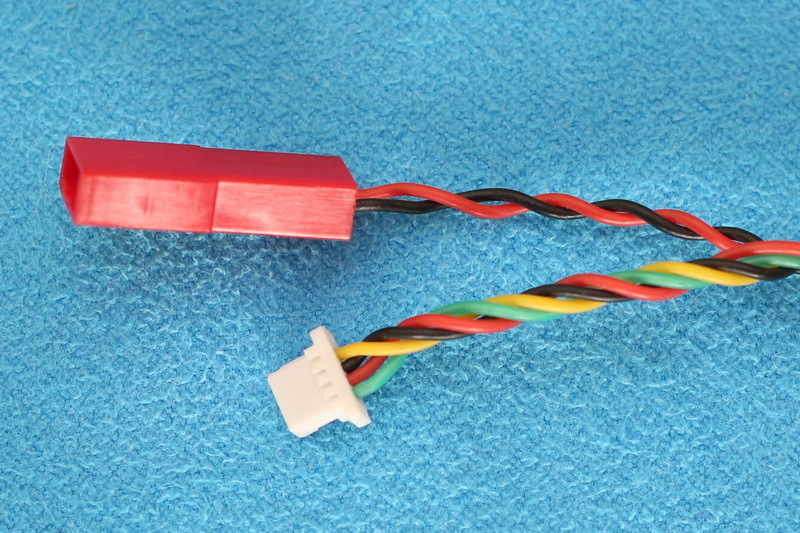 One single control button allows to change channels, bands and output power. While by briefly pressing it you can toggle between 8 channels, by long pressing (for 2 seconds) you can toggle between 5 bands (A/b/E/F/r). 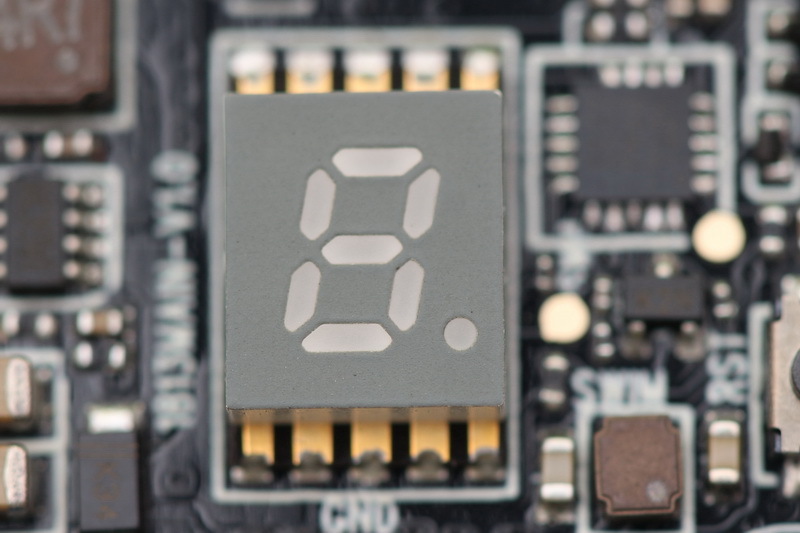 Switching between 25mW, 200mW, 400mW and 600mW broadcast power can be done by pressing 4 seconds the same button. 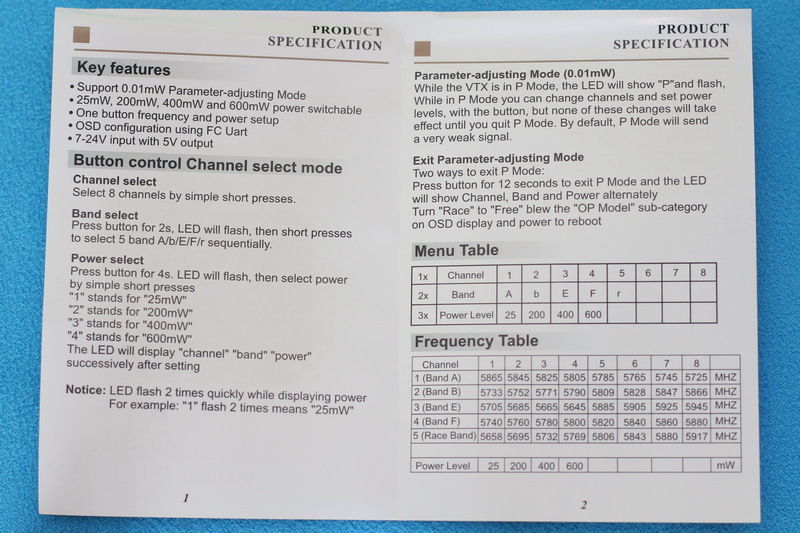 All changes are confirmed on the status LCD. 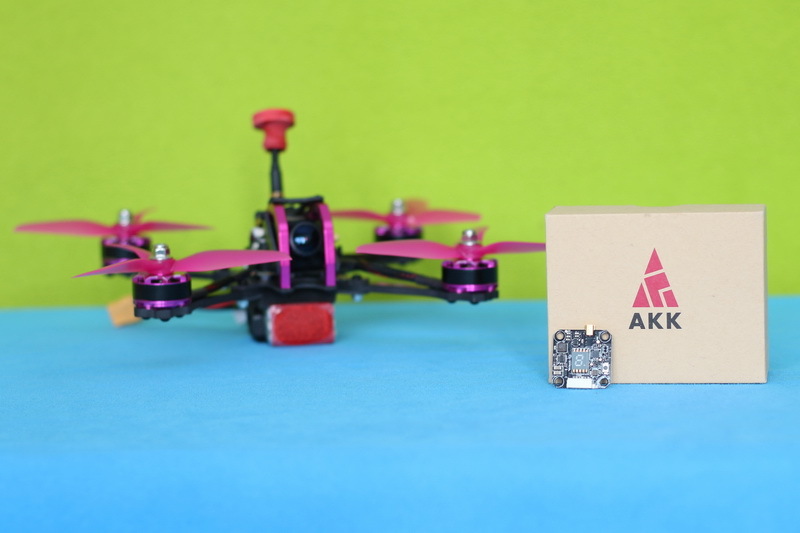 Since AKK FX3 features “Smart Audio”, all the settings can be done also remotely through your transmitter and FPV goggles. 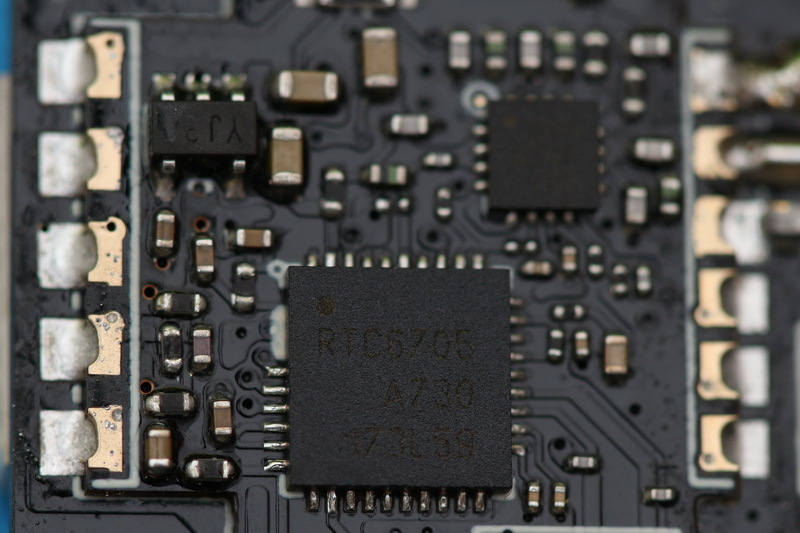 OSD menu can be accessed by moving in the same time the left stick to center-left position and the right stick to center-up (as shown in the image above). 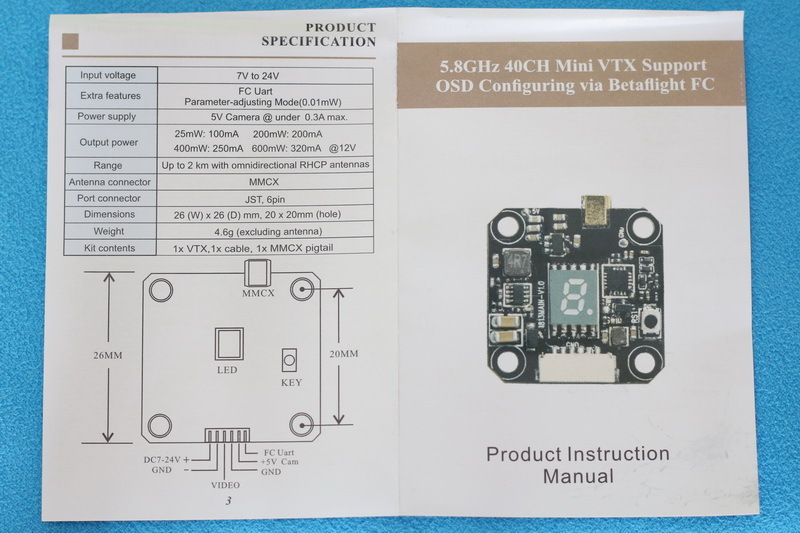 As I am quite busy with drone reviews lately, I am aware that I will not soon start building a DIY drone with this VTX, so I deiced to do a handheld test. 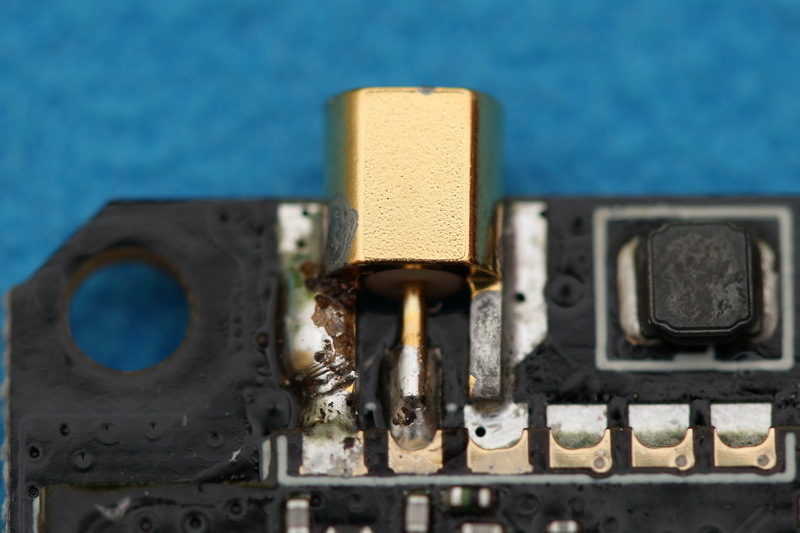 Note: attach the antenna before you power up any video transmitter. 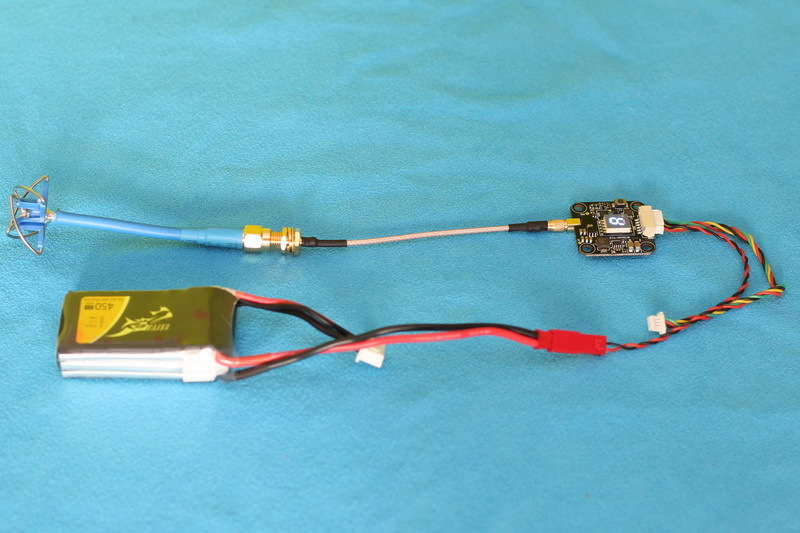 I powered the VTX with a 3s, 450mAh LiPo battery and set it to 25 mW. 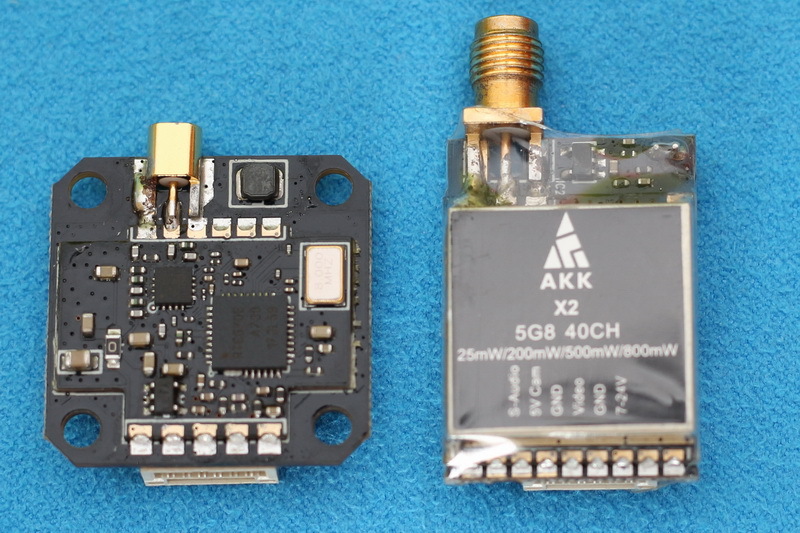 Probably at 600mW I should walk more than 2KM in order to test the longest range of this video transmitter. 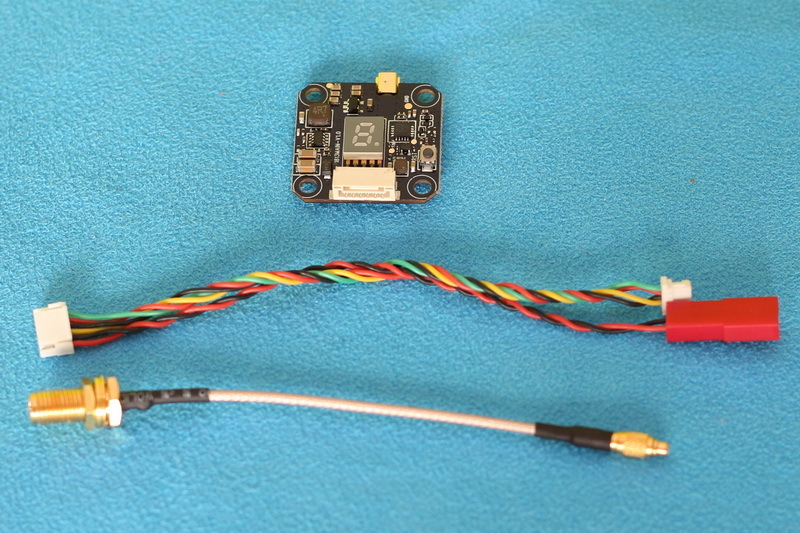 Anyway, 600mW is just a bit overkill for most of the racing drones. 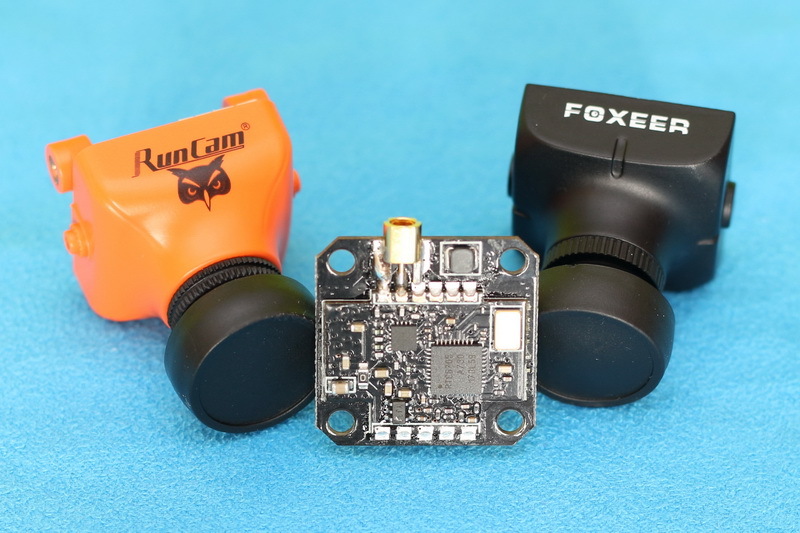 I used my RunCam Owl Plus as FPV camera. 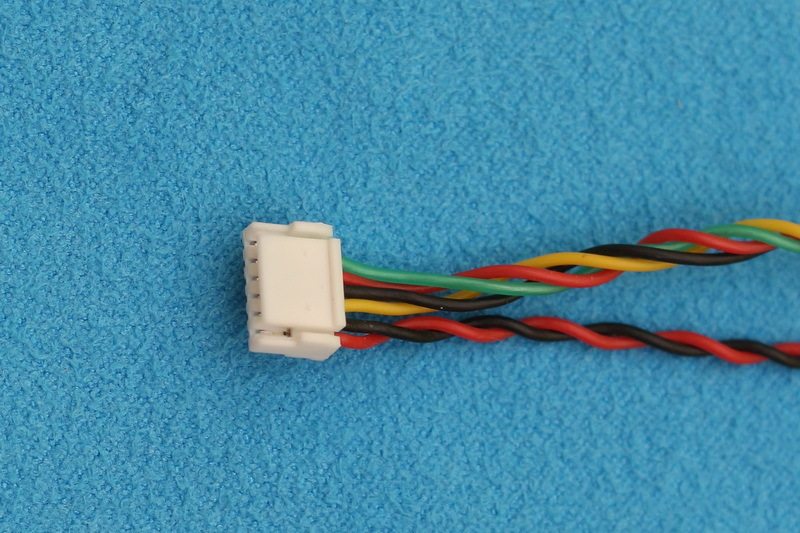 After I wired everything together I started to get away in a straight line holding my FPV monitor in hand. Signal was clean for the first 150 meters. 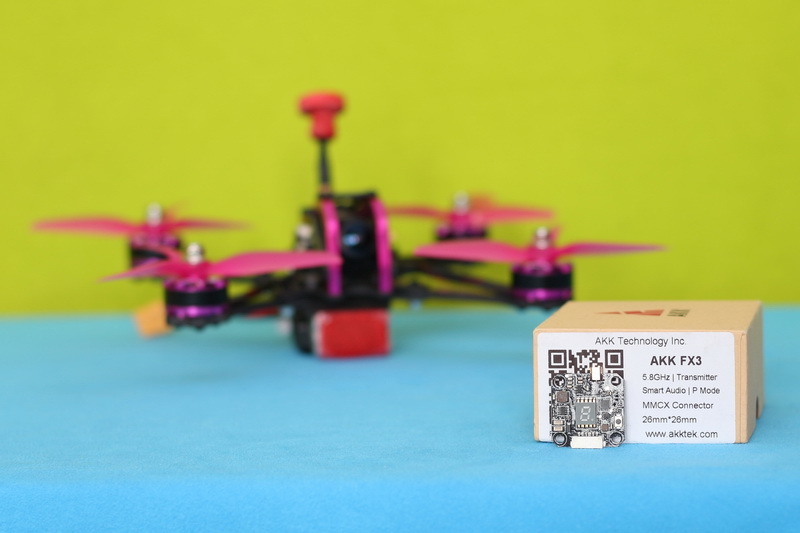 Which is just perfect for proximity park flying. 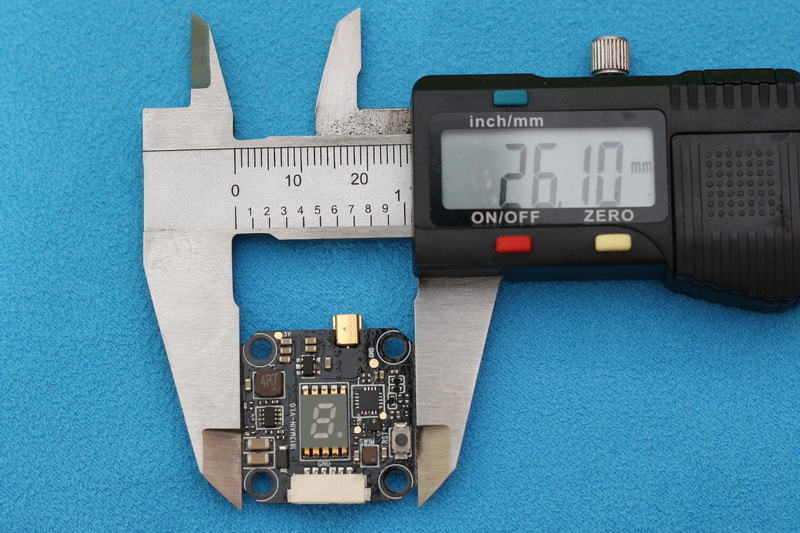 I think with a pair of good quality 5.8G antennas you can get much longer range if need it. 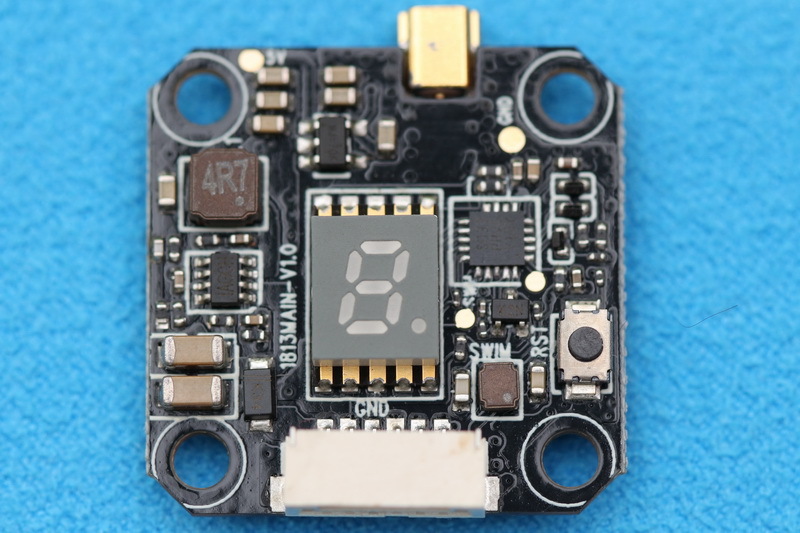 After 10 minutes of test, the VTX became quite hot. At full power probably could burn your finger. 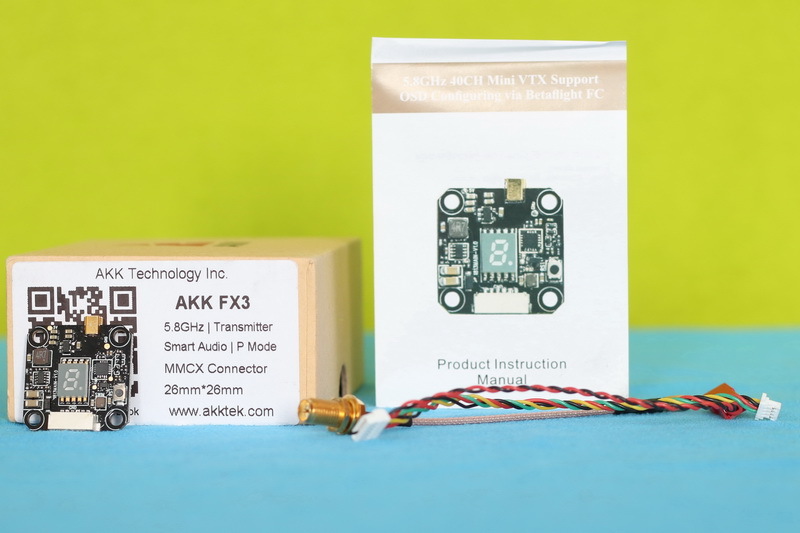 The FX2 VTX can be found here for $18.99 (including free shipping). 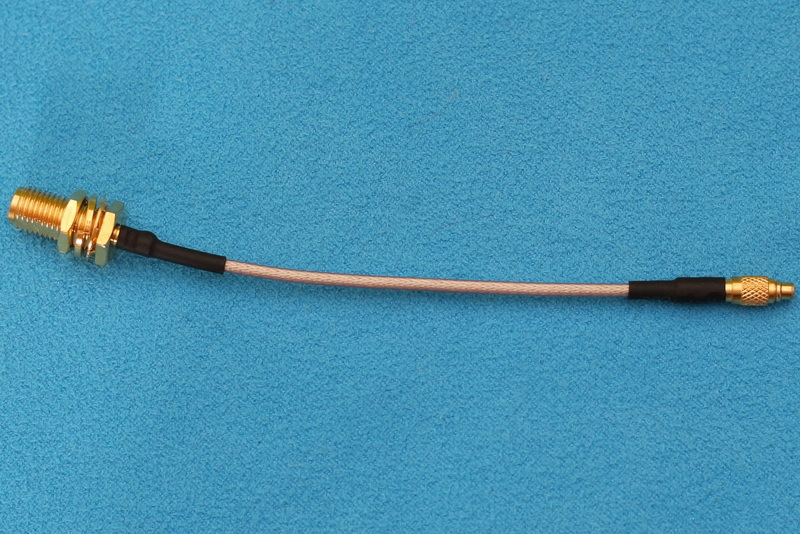 Compatible 5.8G omni-directional antennas are available beginning with $6.99.